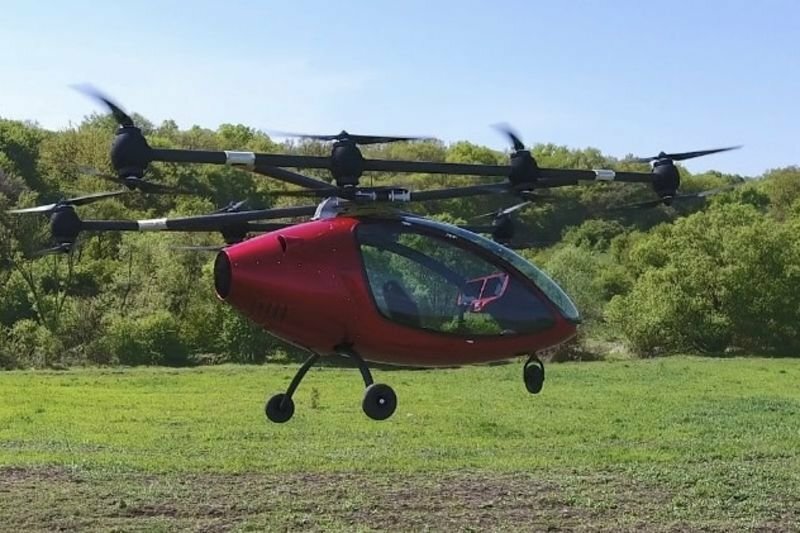 Passenger Drone was launched in September 2017 and is currently the most advanced VTOL platform in the world with a maximum take-off weight of 360kg. The Passenger Drone provides fully autonomous flying and exceptional safety and is equipped with high-end technologies like Adaptive Flight Control, Fiber Optic Internal Communications, Field Oriented Motor Control and Encrypted Communication Channels. The Passenger Drone can take off, land and perform all stages of flight manoeuvring completely autonomously, guided securely via LTE (4G) network, or with onboard control. You can take over at any time via the Touch Flight Control or fly-by-wire joystick. Passenger Drones features cutting-edge technology wrapped with a user-friendly interface developed by their experienced and dedicated team of programmers. The VTOL's range is 30 to 35 mins with speed of 30 to 35 knots (34 to 40 mph), and the Glass Cockpit Avionics flight support software allows passengers to input their destination quickly and fly there precisely without the use of a joystick (a joystick is provided for fly-by-wire override).